Product prices and availability are accurate as of 2019-04-19 09:39:48 EDT and are subject to change. Any price and availability information displayed on http://www.amazon.com/ at the time of purchase will apply to the purchase of this product. 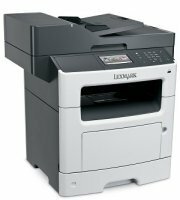 Multifunction laser printer delivers smoother workflows and faster speeds to help propel your business forward. 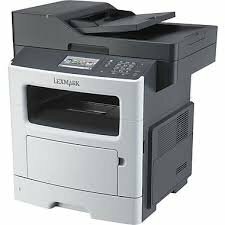 Improve your print, scan and copy speeds by taking advantage of 512MB upgradable memory, 800MHz dual-core processor and Gigabit Ethernet. Print without a PC using the convenient USB port that lets you walk up, preview and print PDF and many other file formats. With built-in, two-sided printing and the ability to print on diverse materials, you can do more for your business and use less paper. Print 45 pages per minute with 1200 x 1200 dpi. 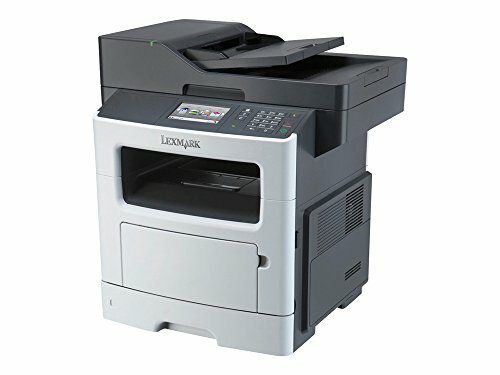 Print or copy your first page in as little as 6.5 seconds. You can also authenticate, authorize and audit employee usage as well as protect sensitive data using standard network security protocols. The MX511de MFP also features a 4.3" color touch screen, copy Scaling from 25 to 400 percent, flatbed scanner, 8-1/2" x 14" maximum scan area, 250-sheet input tray and 100-sheet multipurpose feeder. Energy Star qualified. 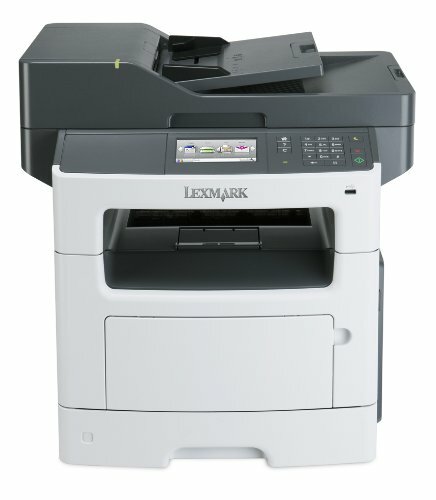 The Lexmark MX511de MFP with print, copy, fax, scan and email functions prints up to 45 ppm. Included are 2-sided printing and 350-sheet standard input. 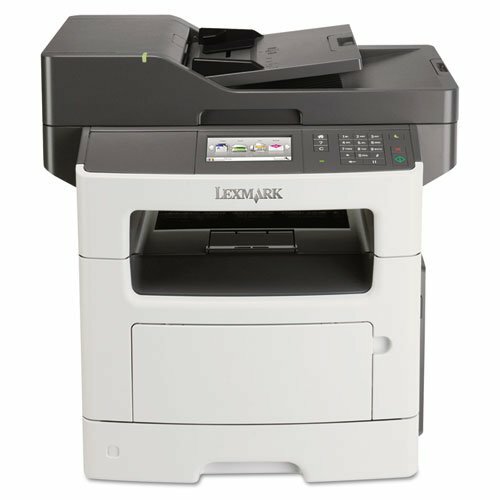 Improve your print, scan and copy speeds by taking advantage of up to 2.5 GB of upgradable memory, an 800 MHz dual-core processor and Gigabit Ethernet. A 4.3-inch color touch screen provides access to preinstalled productivity solutions and lets you operate the system through smart and intuitive navigation. If you can use a mobile phone application, you can use our pre-loaded solutions. 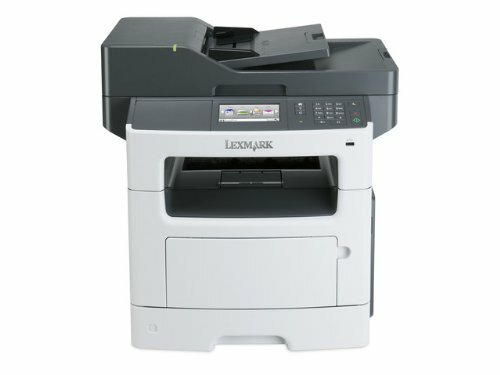 Touch the screen and access shortcuts to scan, print or send faxes, emails and other business-critical documents fast.